002, Chanakya Devidayal Road, Mulund (W) Mumbai - 400080. 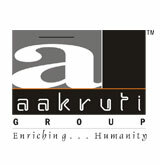 Aakruti Group was started on 26 Jan 1992 as civil contractors to various builders. The founder members of this company were the industrious Mr. Manilal Patel and the enterprising Mr. Vithal Patel. Today it is a construction company consisting of six determined directors. The millennium year 2000 saw Aakruti in a new light. Their rapid rise to success can only be attributed to the knowledge and wisdom gleaned from their elders, experiences that were involved in a similar line of work. It was the realization of their dream when Aakruti Group started their own real estate developments. And since then these six directors, along with their team, have moved from one milestone to another with the practiced ease of an experienced entrepreneur with strong values and traditions as their foundations to success and achievement.